Hong Kong Disneyland has several methods of transportation for you to get to the resort. 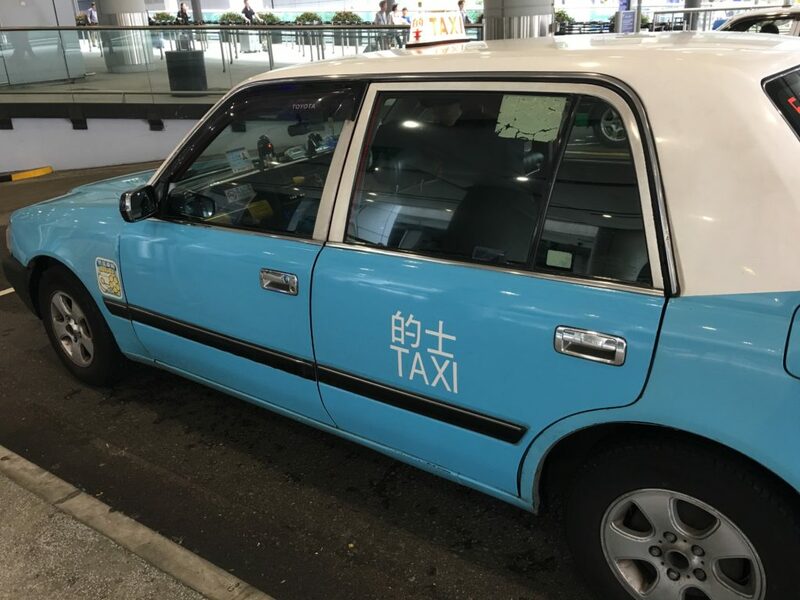 We chose taxi to maximize our stay at the resort, but depending on your own preference you can also choose between the MTR train or the limo/shuttle service which is offered by the hotels. 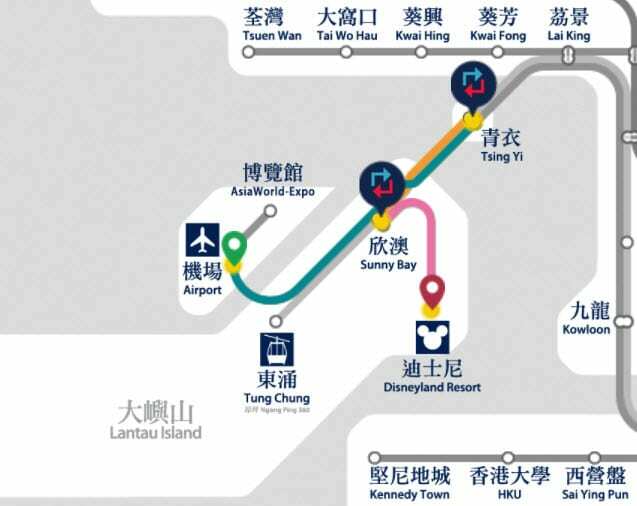 Hong Kong Disneyland and Hong Kong International Airport are both located on Lantau Island. This makes traveling to the resort (and back to the airport) really easy. One of the options from the airport is the train. Hong Kong International Airport has its own train station with the Airport Express. From the Airport you take the Airport Express to Tsing Yi Station. You switch trains there and take the Tung Chung Line to Sunny Bay. At Sunny Bay you change trains and hop on to the Disneyland Resort Line. This takes you about 30 to 45 minutes. The cost is about $10 (70 Hong Kong Dollar) for a single journey. See the latest time table and cost on the MTR website. Another great option to travel to Hong Kong Disneyland Resort is using a taxi. Each color has a different fare rate. Urban is available to ride in most areas and Lantau is specifically for Lantau Island where Disneyland is located and is also the cheapest option. From the airport by taxi is only 10-15 minutes and the fare is around $20. They can charge for luggage at 6 HKD per piece but I do not recall if they charged us for it. 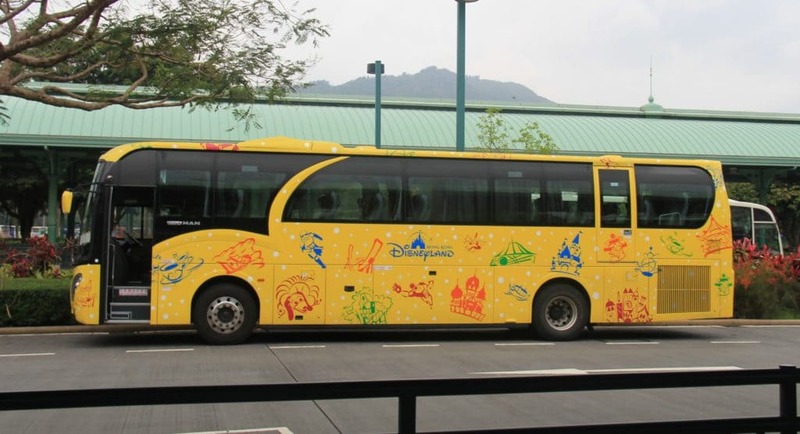 There are Coach Services available to take guests directly to Hong Kong Disneyland Resort. Travellers can choose between the Citybus or the Long Win Bus. As schedules and fares changes often, it is best to have a look at the Citybus website or the Long Win Bus website which is operated by KMB Bus. At the end of your trip you also need to get back to the airport or other parts of Hong Kong. You can use any of the transportation methods mentioned above for that. 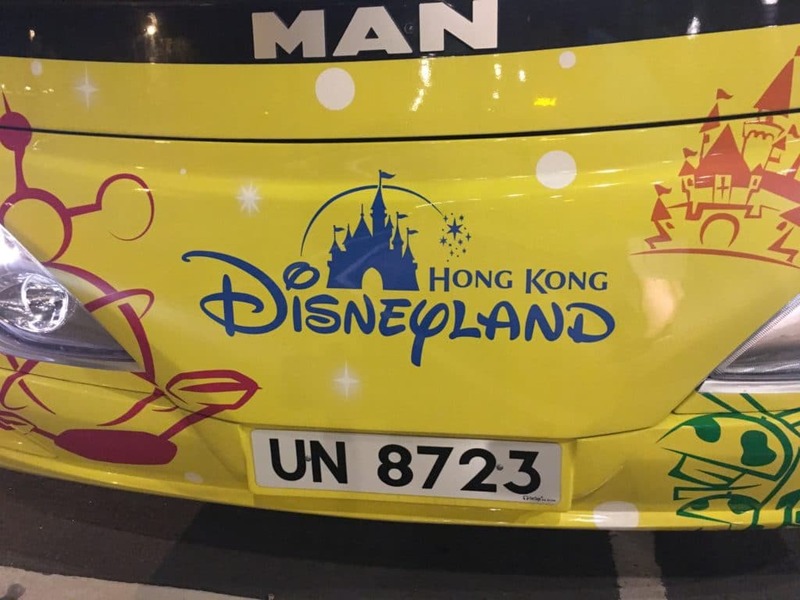 When we visited Hong Kong Disneyland Resort, we had a package deal which had a shuttle bus going back to the airport. Unfortunately the timing wasn’t right and we took a cab. You might want to check into this option offered by Disney. Some of the hotels also offer a Limousine Service which can be purchased separately. Please check the hotel amenities for this. Hong Kong Disneyland Resort also offers a Luggage Transfer Service. Between the hours of 8:30am and 2PM, the Luggage Transfer Service is available at Luggage Valet on the Park Promenade. Your luggage will be transferred to a Hong Kong Disneyland Resort Hotel. The cost is HK$ 100 per luggage item.